One of the biggest social problems of this century has had a treatment on the market since 2006, but only recently receiving its share of attention. That important tool in the addiction treatment toolkit is Vivitrol. Addiction problems have caught the country’s attention as never before. According to federal statistics, by 2016 over a hundred people per day died from opioid-related issues and over 2 million had developed an opioid use disorder, but today doctors have more options than ever for treatment. Opioid addicts saturate emergency and health care services, pushing their capacity beyond the limit. Worse than the statistics are the stories of entire communities hollowed out by addiction as the medical community rises to confront the threat. The opioid crisis dates back to the 1990s when doctors ramped up prescriptions of powerful opioid pain medications, wrongly assured by experts that addiction would be a minor issue. Even in today’s more strict regulatory environment, pain medication prescriptions represent one of the more dangerous gateways into addiction. While many in the media and elsewhere have taken to using “opioid” as a catch-all term, opioid refers to synthetic drugs that act by design similarly to opiate drugs whose active ingredients come from the poppy plant. Thankfully, medical science has worked to develop ways to break the cycle of addiction. One of the newest pieces in the anti-addiction toolkit is Vivitrol. It offers no miracle cure, however. Like any drug used to fight addiction, Vivitrol is most effective when patients follow directions and take it as part of a treatment regime that includes a doctor’s supervision and regular counseling. Opioid and opiate-based medications dull pain by engaging the brain’s pain receptors. In addition to dulling the physical sensation of pain, this engagement also induces a “high” that can create feelings of euphoria or dull all physical and emotional responses. Addiction occurs when the brain becomes dependent on the drugs. Individuals grow dependent on the effects of the drug and could even manifest feelings of pain with no direct stimuli just to get the drug. Vivitrol is a long release version of the addiction treatment drug naltrexone. Approved by the US Food and Drug Administration in 2006, it acts as a blocking agent. It engages the same receptors in the brain as opioid and opiate drugs, but then occupies the “space” otherwise taken by those drugs. Opioid and opiate drugs can no longer dull the pain and will not make the user high. When used in conjunction with a doctor’s supervision and regular counseling, Vivitrol can prove highly effective in keeping an addict from experiencing the effects of opioids and opiates. It also has proven useful in treating those who suffer from alcohol addiction. Like any other drug in a medication-assisted treatment plan, users need to follow all directions carefully. Counseling is also necessary to address the psychological issues associated with addiction. No drug, not even Vivitrol, can cure addiction by itself. Vivitrol comes in a once a month, 380-milligram dose. It should only enter the body via gluteal intramuscular injection and even then, only from a medical professional trained specifically to administer the drug. The medical professional must take special care to not inject Vivitrol subcutaneously since this can increase the risk of painful reaction. The long release nature of Vivitrol allows it to effectively block receptors from opiate or opioid drug stimulation for a month. It can only work, however, when the patient’s system no longer has opioid or opiate drugs in it. The brain’s receptors must be clear so that the Vivitrol can occupy and block them from admitting opioids or opiates. The Vivitrol shot should be used with care because it can react adversely with other addiction treatment drugs. Medical professionals must urge in no uncertain terms that patients about to undergo Vivitrol treatments be completely honest about drug or alcohol use prior to the injection. If the system has not been fully cleared of addictive drugs, Vivitrol can trigger severe symptoms of withdrawal. Doctors prescribing Vivitrol should do so with care because it could interact with opiate and opioid-based addiction treatment drugs. Patients and medical professionals alike should study the possible side effects of Vivitrol and any other drug prior to use. This could prevent serious problems from going unnoticed. One of the most important reasons why Vivitrol use should only be done under the supervision of a trained medical professional while following directions precisely is the side effects. These can range from unpleasant to dangerous. First Vivitrol does block the brain from receiving stimulation from opioids or opiates, but it does not prevent those drugs from taking effect in different ways. Trying to take opioids or opiates to get a high while on Vivitrol will likely not produce the desired sensation, but can still cause coma or death as a result. Vivitrol will not work properly if used while opioids or opiates remain in the system. This includes opiate based treatment drugs such as Suboxone and even cold medicines with codeine. For best results, the patient’s system should be free of opiate or opioid drugs for between seven and 14 days before taking Vivitrol. The combination could, however, produce immediate and unpleasant symptoms of opiate withdrawal. As Vivitrol wears off, usually around a month after injection, opioid and opiate drugs will create normal physical and other effects. Users should understand, however, that their tolerance will have dropped in that month. If they use drugs in the same amounts or rates as before treatment, they could overdose and die. Side effects can also occur at the site of injection and these can produce serious and painful symptoms. Patients should inform their doctor if they experience pain at the point of injection, swelling, a hard feeling on the skin, blisters, an open wound that will not heal, or a dark scab. If symptoms do not disappear after two weeks, call the doctor. Vivitrol in some rare cases can cause liver damage or even hepatitis. If a patient experiences unexplained stomach pain over a few days or more, dark urine, yellowing of the eyes, and/or fatigue, these could be signs of the onset of liver damage and the patient should speak to his or her doctor immediately. Patients who experience side effects such as racing heartbeat, breathing problems, or symptoms related to liver problems should contact a doctor immediately. All of these could be signs of serious problems. Vivitrol can also produce a range of allergic reactions in some patients, especially different types of discomfort and symptoms at the site of injection. While some of these symptoms may also stem from the weaning process, patients should contact their doctor if they experience these or other unusual problems. Suboxone works in a similar way to Vivitrol but has received more criticism. Like methadone, Suboxone is a less potent opioid that engages the brain receptors. It does, however, produce a much less powerful reaction. The theory behind Suboxone and other similar medications is that it represents part of a stepping down process from highly potent drugs such as OxyContin or heroin. Critics, however, claim that Suboxone hurts more than it helps. Since it is also an opioid, many claim that its use merely represents substituting one addictive opioid for another. Suboxone is an opioid and works the same way as opioids and opiates. Quitting “cold turkey” from Suboxone, once treatment ends, can produce unpleasant and even sometimes dangerous withdrawal side effects. Suboxone also does not require full detoxification before treatment. Suboxone’s advantage lies in the fact that it does come at a much lower cost per dose than Vivitrol at this point. Vivitrol, however, offers advantages as well. It treats the addiction directly by going after the physiological target in the brain. It blocks receptors and does not permit opioids or opiates to engage. Most importantly, since Vivitrol is not an opioid or opiate, it does not produce the high, nor do patients develop addiction the way they may with Suboxone. Another benefit of Vivitrol lies in its long-term effects. Much of the opioid crisis centers in rural and remote regions without many legitimate clinics for treatment. Rural residents may find treatment easier and more convenient with Vivitrol versus the orally taken Suboxone. Also, there is a much smaller chance of forgetting to take the medication from one day to the next. A study conducted by the National Institute on Drug Abuse found that the effectiveness of the two drugs was roughly equivalent when the medication was prescribed and used as directed. The main criticism of Vivitrol lay in the fact that a patient must be completely clean before using. In some studies, patients relapsed before they could start their Vivitrol regimen. This would suggest that Vivitrol treatment might be optimal in a more closed treatment setting, such as a recovery center or even jail or prison. Drug addiction treatment medications fall into two categories, agonist and antagonist. Agonist drugs mimic the action of the brain’s neurotransmitter. 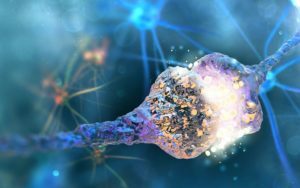 Addictive drugs engage the dopamine neurotransmitter, which can create feelings of euphoria or the “high.” Direct agonists engage the transmitter itself while indirect agonists affect the number of transmitters affected. Antagonist drugs bind themselves to neurotransmitter receptors, preventing any binding with substances such as opioids. Neurotransmitters do not have a chance to be either produced or released. Because Vivitrol attaches itself to receptors and blocks any other substance from binding, it is commonly considered an antagonist medication. The first Vivitrol shot should come between seven and 14 days after opioids or opiates have left the system. If opioid or opiates are present in the body after injection, this could spark powerful withdrawal symptoms. From the date of the first injection, each subsequent shot should come every four weeks until treatment is completed. 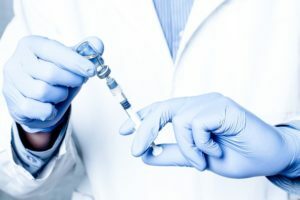 Experts recommend that medical professionals injecting Vivitrol alternate buttocks with each injection to reduce the chance of adverse reactions. Since Vivitrol is neither an opioid nor an opiate, patients do not have to step down their dosage at the end of treatment. 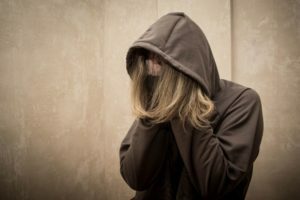 Addiction experts advise, however, that patients continue to adhere to a recommended psychological or psychiatric counseling regimen to help strengthen the addict against relapse. The overview went on to say that naltrexone is rapidly processed by the liver into inactive forms. Some experts suggest that liver disease reports may have come from the use of naltrexone on alcoholics who may already have damaged their liver pretreatment. Although the link between Vivitrol and hepatitis has never been scientifically proven, most consider it prudent to list it as a possible side effect due to the serious nature of hepatitis and other liver diseases. Riverside Recovery Center serves as one of the premier addiction treatment centers in northwest Washington state. For over two decades, its medical professionals and staff have implemented caring and effective treatment protocols to help individuals overcome a wide variety of addictions to lead a more productive and healthy life. The staff at Riverside Recovery Center understand that each patient is an individual, and as such will receive a specialized treatment plan that addresses their particular needs and issues. If you or a family member have started down the slow-motion tragedy of addiction, help is as close as a phone or an email. Reach out to Riverside Recovery Center today.